A bottle of red or white wine is 750 ml. Half a bottle is 350 ml, or about 12 oz. The calories in half a bottle of wine will depend on the type -- red or white -- and the variety of wine. 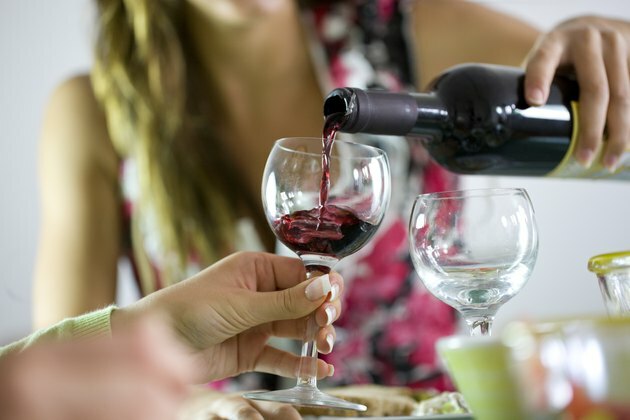 Average red wine has 300 calories in half a bottle. The calories will vary slightly by variety. A half bottle of syrah has 293 calories and a half bottle of red zinfandel contains 310 calories. White wine, on average, has slightly fewer calories than red wine. A half bottle of average white wine contains 289 calories. A half bottle serving of pinot gris has 292 calories, while a riesling contains 284 calories. These figures are from the U.S. Department of Agriculture and are averages. The actual calories in a half bottle of red or white wine will depend on the brand and the variety. A standard pour of wine is 5 oz. A half bottle will contain about 2 1/2 glasses of wine. How Many Calories are in Wine, Beer and Liquor? What Is the Carb Count & Calories in 4 Ounces of Wine?